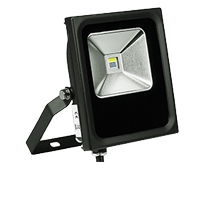 These LED Flood Lights are designed for commercial environments that require a super bright durable lighting. Applications for LED flood lights include: sporting events, parking lots, outdoor events and more. *This is a custom product, for more information or to place an order, please use the contact form below and a representative will respond promptly.